Remember the excitement of searching for brightly colored eggs scattered on the lawn and hidden behind bushes and lawn furniture? The joy you felt when adding another found treasure to your basket while the sun warmed your face can be felt every time you look at this beautiful accent runner. It's the perfect way to decorate for spring every year. 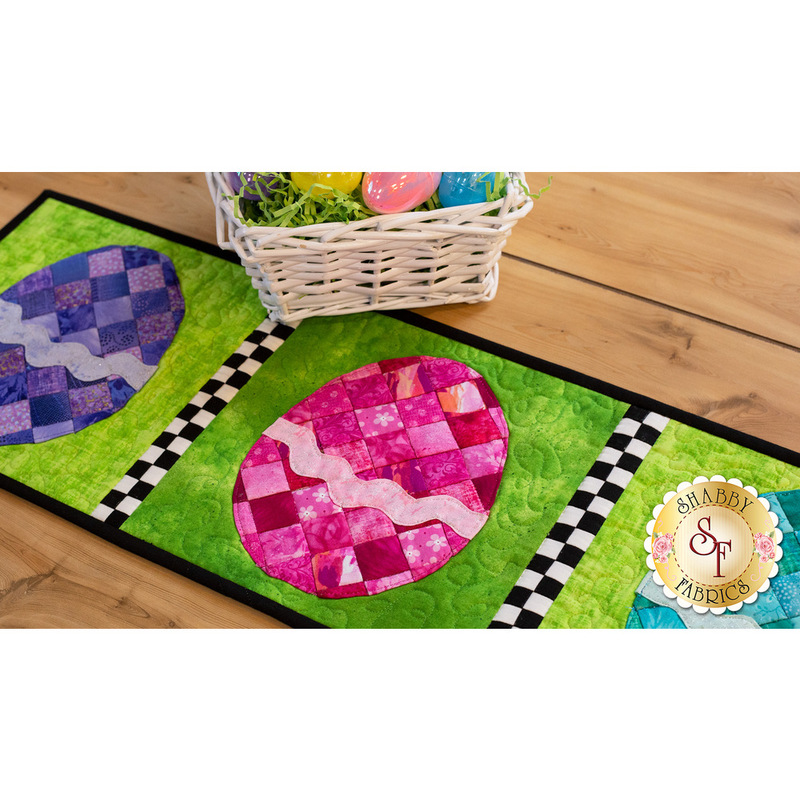 The Patchwork Accent Runner Series is a fun and simple way to bring the spirit of each month to your home! 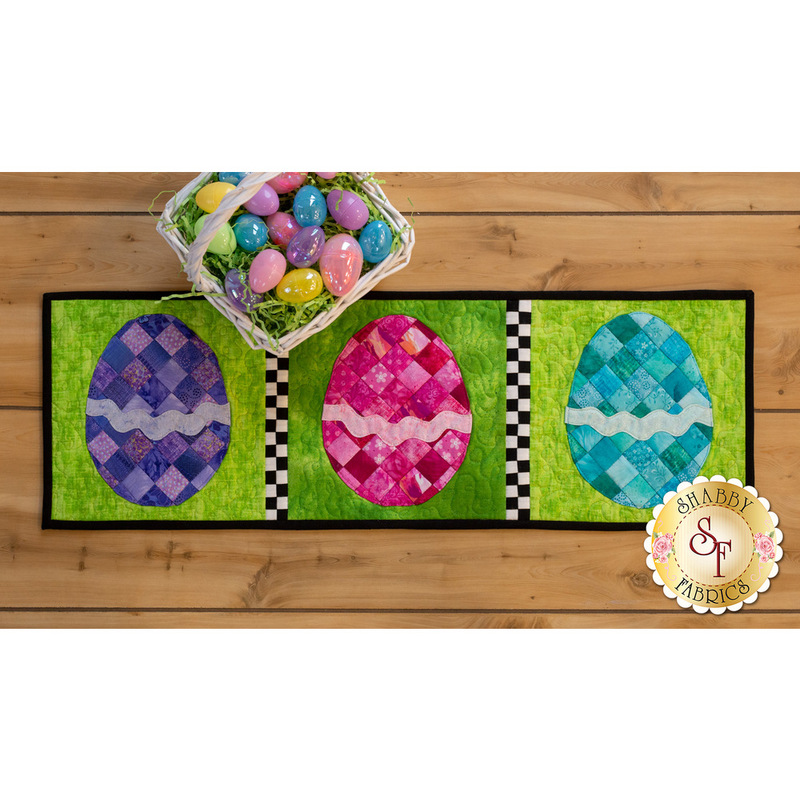 These accent runners are ideal for entryway tables, small dining tables, and more! Each month has its own unique, hand picked thread set, carefully coordinated to make your project shimmer! All fabrics for Top, including Sashing, Binding & Backing! 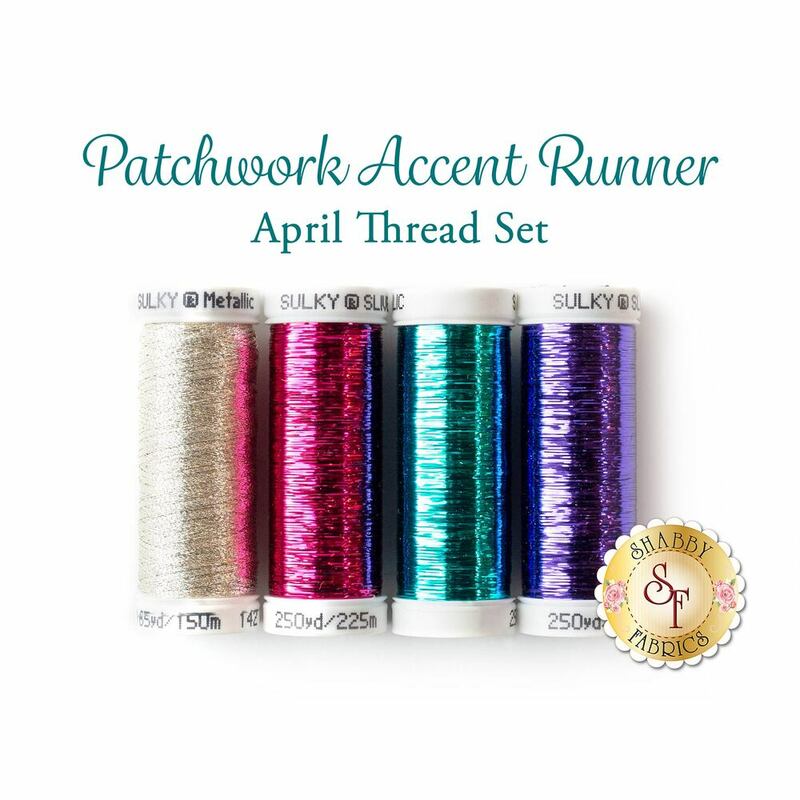 4 pc Patchwork Accent Runner April Thread Set - Coordinating Metallic threads add a sparkling touch to your runner!